Posted on June 20, 2018 by Andy Higgs in Home. With crystalline water, venerable ancient sites and sparkling white beaches, Greece invites you to embrace all manner of fun you would like to enjoy. This is a vast country with sufficient islands that suit each visitor’s taste. If you are planning to visit Greece, probably you would have it easier by learning more about some of the best places to visit as well as the features you can enjoy while on your trip. 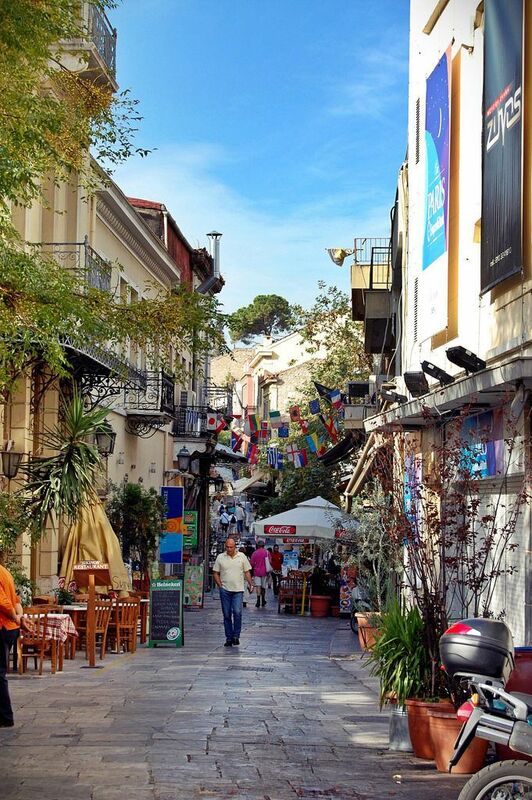 Take an easy walk around the ancient Athens to browse through bric-a-brac in the Monastiraki Flea Market. This is a section of the city that is made up of kiosks and shops arranged shoulder to shoulder that sell souvenirs, leather goods, clothes, burnished antiques, and jewellery. From here, you can stroll to one of the squares tucked in the market, Plateia Avyssinias. This is a perfect place for some quick break as you sample some of the best dishes prepared with native ingredients. Don’t forget to get immersed into the chat-filled kafada. Join others in the cafes of Athens where you can sit for a coffee with a long round of people-watching. It’s a perfect pastime that also awards you an opportunity to have a good chat as you learn more about the culture of the people. Enjoy some Greek coffee served either plain (sketo) or with sugar (metrio). The Greek calendar offers festivals throughout the year and this means your visit is likely to happen when one of the festivals is coming up. You can join these festivals to enjoy the blend of culture with art. The Carnival (also referred to as Apokreas) offers a time for dress-up and parades. You can also take part in the Greek Easter, which comes as a weeklong springtime celebration. In summertime, the main event is the Hellec Festival, so there are just too many events to miss out on any of them. Browse for cheap air tickets to ensure your trip coincides with the kind of events you would want to be part of. You can book early to ensure your arrival happens when everything is set. A trip to Greece without some beach time would not be complete. Greece beaches stretch from Kefalonia and Lefkada broad to Milo’s multihued and Santorini. They are vast and beautiful sweeps of soft sand and white stones. You can make a visit to Paros, which is popular for world-class kite surfing. The gentle Kythos offers a double-sided beach, which arcs out into the sea. There are endless options for beach activities, and sightseeing, so take your time to sample and form your opinions. Greece is one of the most beautiful countries you can visit. It is made up of beautiful natural features including beaches and the people practice a beautiful culture. If you are looking for a holiday getaway, you will find many things to see and do. From ancient features to annual festivals, there are all manner of things to do while in Greece that you will find interesting.